Steve T. Lamberti is President of Highmark Residential. Mr. Lamberti has over 30 years of experience in the real estate industry and is responsible for establishing and operating Highmark Residential ’s platform, asset strategy, property and portfolio acquisition selection, acquisition due diligence, and maximizing property value. He has executed on over $10 billion in real estate transitions. Prior to his involvement with Highmark Residential, Mr. Lamberti served as Vice President of Archon Group & Chief Operating Officer of Archon Management Services, a majority-owned subsidiary of Goldman Sachs, where he led the expansion of Archon’s owner-managed division from approximately 3,000 multifamily units to over 30,000 units. He spent 14 years with Walden Residential Properties, Inc. (a NYSE Multifamily REIT) as COO. At Walden, Mr. Lamberti was responsible for property management, coordinating acquisition selection, due diligence, asset management, marketing and human resources. Mr. Lamberti received two Bachelor of Arts degrees from the University of Nevada – Reno. He holds the Certified Property Manager designation from the Institute of Real Estate Management, is on the Board of Directors of the National Multi Housing Council and has served in various positions with the Apartment Association of Greater Dallas and the National Apartment Association. Mr. Bennett serves as Regional Vice President of Operations over the South Florida region in all Miami-Fort Lauderdale-West Palm Beach Metro Areas for Highmark Residential. He has over 23 years’ experience in the multi-family industry and has overseen portfolios in almost every metro area in the Eastern U.S. Prior to joining Highmark Residential, Mr. Bennett was with Fairfield Residential LLC for over 16 years and served as a Vice President of Property Management. He has also held senior leadership positions with McCormack Baron Management Inc. of St. Louis, Missouri, and began his career with Stonemark Management LLC in Atlanta, Georgia. Currently, Mr. Bennett is a resident of South Florida and actively supports local chapters of the American Red Cross as well as the Humane Society of the United States. Earlier in life he proudly served in active duty for the United States Navy. Ms. Blankenship, Highmark Residential 's Vice President of Human Resources, has over 27 years of HR experience in the real estate industry. Ms. Blankenship is responsible for policies and programs covering employment, compensation and benefits, organizational development, employee relations and retention and compliance with federal, state and local laws. Ms. Blankenship's HR experience includes eight years with Gerald D. Hines Interests, an international commercial real estate development and property management company headquartered in Houston, Texas, where she managed the corporate employment and benefits functions. She later joined Drever Partners/Concierge Management as HR Director creating the HR department and building the HR/Payroll infrastructure for the property management company. In 1997, Ms. Blankenship became VP of Human Resources for Walden following their merger with Drever Partners and joined their corporate management team in Dallas, Texas. Paul Cooper is the Chief Accounting Officer for Highmark Residential, a subsidiary of Starwood Capital. As Chief Accounting Officer, Mr. Cooper is responsible for external financial and management reporting, property and corporate accounting, corporate internal controls, corporate financial planning and analysis functions, treasury management, audit and tax coordination and oversight of the Accounting Information Systems. Mr. Cooper brings to his position over 18 years of leadership experience in corporate finance and public accounting, with the last 4 years specializing in the publicly traded market. Mr. Cooper served as the REIT Controller for Highmark Residential since the IPO in 2013. Prior to joining Highmark Residential in 2005, Mr. Cooper worked for PricewaterhouseCoopers, LLP, assisting clients with numerous accounting and business matters primarily related to real estate audits, including Invesco, Archon, and Goldman Sachs’ Whitehall Funds. Mr. Cooper began his real estate (accounting) career at Walden Residential Properties, Inc. in 1999 and was responsible for the Corporate Accounting functions, including financial reporting, cash forecasting, budgeting, and cash management. Mr. Cooper received a B.B.A. from Abilene Christian University. Ms. Horn serves as the Regional Vice President of Property Operations over the Dallas/Fort Worth regions for Highmark Residential. She is responsible for overseeing all aspects of property operations. Ms. Horn has over 28 years of experience with expertise in all variables of multi-family real estate ranging from property management, acquisitions & repositioning, and new development. Ms. Horn has been involved at the regional and national levels in both conventional and student living management. Ms. Horn began her career with Henry S. Miller, she has also held management positions with Fairfield Residential and Trammell Crow Residential. Ms. Horn served as Vice President & Divisional Manager for JPI overseeing the western conventional division, then the national student housing division. She has also served as Executive Director of Operations for the student housing division of The First Worthing Company. Ms. Jackson serves as the Regional Vice President of Property Operations and is responsible for overseeing all aspects of property operations for the East Region comprising of assets located in Florida, Georgia, Tennessee, and Maryland. Ms. Jackson has spent over seventeen years in the multi-family industry gaining expertise in acquisitions, repositions and dispositions. Ms. Jackson currently serves as Immediate Past President for the First Coast Apartment Association and the Vice President of the Florida Apartment Association as well a delegate to the Board for the National Apartment Association. She also sits on the Budget and Finance Committee, Lyceum Committee and is a PAC Ambassador for NAA. Ms. Jackson is a 2007 graduate of the Lyceum Leadership Program. Ms. Jackson currently holds her Certified Property Manager designation from the Institution of Real Estate Management as well as the Certified Apartment Manager from the National Apartment Association. Ms. O’Connell serves as Regional Vice President of Operations over the West region for Highmark Residential that includes assets in Colorado, Arizona, and Utah. 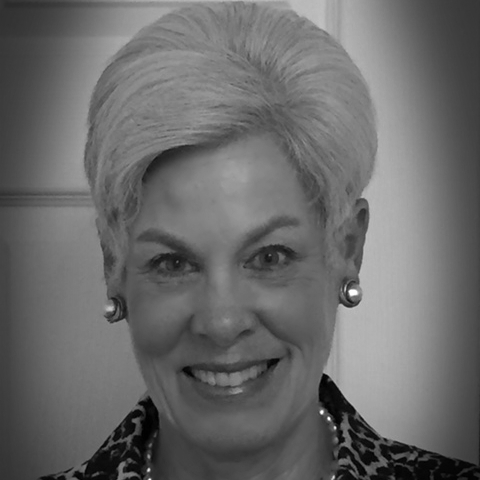 She has over 30 years of experience in more than 20 markets in the multi-family industry. Prior to joining Highmark Residential, Ms. O’Connell was a Senior Vice President for Simpson Property Group for 17 years responsible for operations of multi-family assets in Denver, Phoenix, Seattle, and Portland. She previously held senior leadership positions in Atlanta, Georgia at Archon Residential Management and Lane Company. She served as President of the Apartment Association of Metro Denver in 2008 and was inducted into the Hall of Fame in 2017. She also served as President of the Colorado Apartment Association in 2011 where she continues to serve on the Board of Directors. Ms. O’Connell holds the CPM® (Certified Property Manager) designation from the Institute of Real Estate Management and has served in leadership positions of the IREM Greater Denver Chapter. Ms. O’Connell graduated from Furman University in Greenville, South Carolina. Mr. Sherman, Highmark Residential 's Vice President of Information Technology, is responsible for the evaluation and implementation of technology to improve operations. His duties include day-to-day supervision of systems operations, business applications, user support and on-going projects. Prior to joining Highmark Residential, Mr. Sherman served as VP of Information Technology for Walden Management Company. Mr. Sherman started with WMC in 1989, gaining years of on-site experience, while playing an integral role in creating the company's information technology department and implementing the company's technical infrastructure and software solutions. Ms. Stiles serves as the Vice President of Training and Marketing and is responsible for Highmark Residential 's professional education programs and national marketing initiatives. Ms. Stiles is a leasing and marketing professional with a "grassroots" approach to her training philosophy. Having started as a Leasing Associate and advancing to the position of Community Manager, Ms. Stiles has a unique and valued view of what the life of a "community" truly is. Ms. Stiles was promoted to the position of Training Director for Walden Residential Property Trust in 1998, which at the time, was the third largest REIT in the country. During her 20-year multi-family career, she has gained expertise in strategic sales and marketing planning, curriculum development, property management, repositioning and acquisitions. Ms. Stiles has served on the Board of Directors for both the Apartment Association of Tarrant County and the Texas Apartment Association. Ms. Stiles has served as chairperson for numerous committees and is a noted speaker and author of articles in national real estate industry publications such as Units magazine delivering industry-related topics including Fair Housing, Creating Marketing Plans, Employee Turnover, Advertising Effectiveness, and Synergy. Ms. Van Winkle serves as Regional Vice President of Property Operations over the Houston, and Austin/San Antonio regions for Highmark Residential. Her career spans over 30 years, including previous service with such companies as Balcor Property Management and Concierge Management Corporation. Prior to joining Highmark Residential, Ms. Van Winkle served as Divisional Vice-President of Walden Management Company. She has experience in both conventional and tax-credit property management. Ms. Van Winkle served as President of the Houston Apartment Association in 2009. She serves as President of the Texas Apartment Association. She is a member of the Board of Directors of the Texas Apartment Association Education Foundation and is a delegate to the Board of the National Apartment Association. Additionally, she serves on the Board of Directors of the Westchase Business District and the Greater Houston Area Chapter of the American Red Cross. Ms. Van Winkle holds the CPM® (Certified Property Manager) designation from the Institute of Real Estate Management as well as the CAM (Certified Apartment Manager) and CAPS (Certified Apartment Property Supervisor) designations from the National Apartment Association. Ms. Van Winkle is a Lyceum graduate of the National Apartment Association and is licensed as a Texas Real Estate Salesperson. Mr. Weathers has been an associate at Highmark Residential for 5 years and is currently Vice President of Revenue Management. Before his present role, he worked at Highmark Residential as a Senior Associate in a variety of functions including financing, portfolio analytics, and equity fundraising. Prior to joining Highmark Residential, Mr. Weathers served as an Investment Analyst at The PNL Companies, a Dallas based private equity firm. He was responsible for identifying, underwriting, and presenting acquisition opportunities related to the purchase of notes secured by distressed real estate. 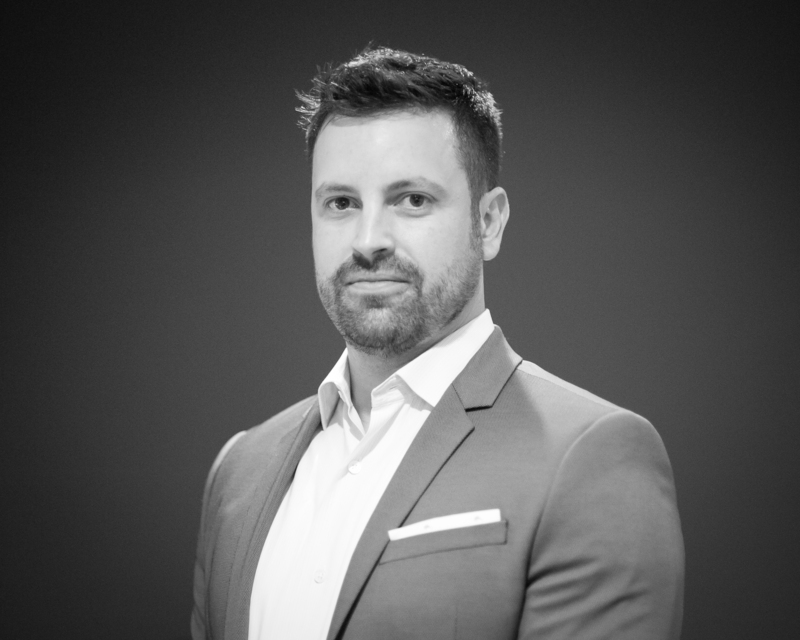 Prior to his tenure at The PNL Companies, Mr. Weathers served as a member of the asset management team at Crescent Real Estate Equities, and was previously with Stream Realty Partners, where he focused on modeling the cash flows of potential real estate acquisitions. Mr. Weathers holds an MBA from Southern Methodist University and a BS in Computer Science from Duke University. Ms. Woodard is the Regional Vice President of Property Operations for the Northeast Region serving North Carolina, South Carolina, Virginia, Maryland, and DC. 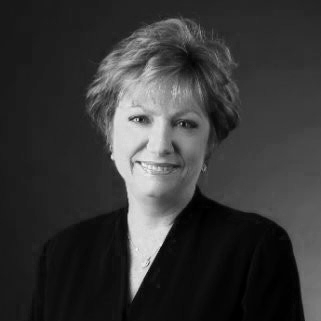 Mary Beth has been in property management for over 35 years in various capacities including operations, construction, marketing, training, and human resources. She has been affiliated with Lincoln Property; Summit Properties; Colonial Properties Trust, and Balfour Beatty. Prior to joining Highmark Residential in 2016, when the Northeast Region was formed, Ms. Woodard was Executive Vice President of Northwood Ravin. Ms. Woodard has served as the President of the Greater Charlotte Apartment Association and served as the first female Chairwoman of the National Apartment Association in 1999. She has also served on the Board of Directors of the Community Housing Development Corporation a non-profit for affordable housing for special needs citizens; the Blumenthal Performing Arts Board and Virginia Tech’s Property Management Board of Directors. Ms. Woodard has earned her Certified Property Manager designation from the Institute of Real Estate Management; her Certified Apartment Property Supervisor from the National Apartment Association and is a North Carolina Real Estate Broker. She was named Charlotte Business Women of the Year by the Charlotte Business Journal.